Looking for the perfect secure storage solution for your boat or recreational vehicle? 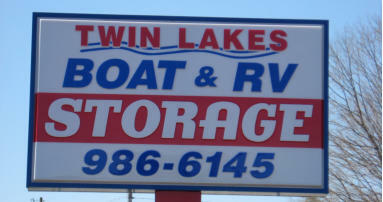 Twin Lakes Boat and RV Storage wants to be the solution for you! We focus on making the ownership of your boat and RV an enjoyable experience. Our storage facility is located in Lenoir City, TN, Exit 81 from I-75 and just across Fort Loudon Dam, located within ½ mile from different boat ramps and within 5 miles to I-40 and I-75. We are a family owned business and we offer both covered and open storage with 24 hours/7 days per week accessibility. Our secure facility is easy to navigate due to the convenient location and wide drive aisles. Twin Lakes Storage offers reasonable and affordable rates. Please call for rates for your specific recreational item. 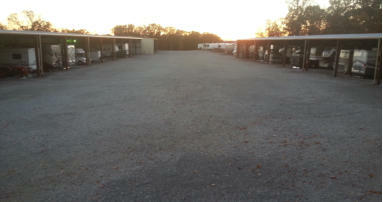 Twin Lakes Boat & RV Storage SCHEDULE A SITE VISIT TODAY! Before you rent any other storage space….CHECK US OUT FIRST! Being RV owners ourselves, our experience makes the difference! The Twin Lakes Storage facility is the best we have found not only in East Tennessee but also in the Austin, Texas area. The facility has more features than we have seen anywhere - wash station, dump station, and water and air stations. Because of that, we can drive our RV out of Twin Lakes Storage and hit the road, with no extra stop necessary. We have been with Angie and Al for 7 years and highly recommend them and their facility.